XYour browser does not support the audio element. This series of 12 Embodiment Exercises can be used as sensory meditations. 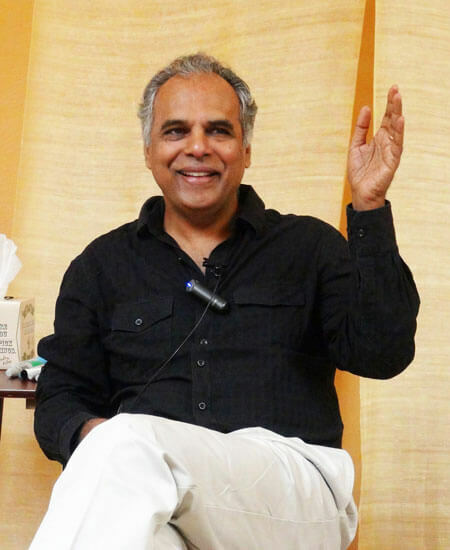 Being able to be aware of one’s body is an important part of contacting and supporting the body’s inherent powers of self regulation to help symptoms of stress and trauma, to develop greater capacity for overwhelming positive and negative life experiences, and to make the body a greater container for the subtle energies of one’s being. 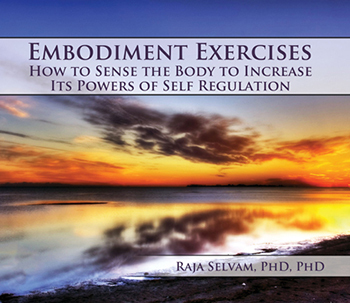 In a series of embodiment exercises that can be done over many days, and repeated as often to derive growing benefits over time, Raja Selvam guides the listeners through the layers of the body in such a way that the listeners can not only learn how to sense the body quickly, but learn to sense the body and work with it in such a way that they can optimally support the self regulation that their body and energy have to offer them. Mental health professionals will find in these exercises effective clinical strategies for regulating every part of the body of their clients during treatment of stress and trauma symptoms. In addition to the audio files you will be provided with a list of Course Objectives, Movement Descriptions, and a Study Guide. Exercise 12 (15:28) – Differentiating body, energy, and awareness.